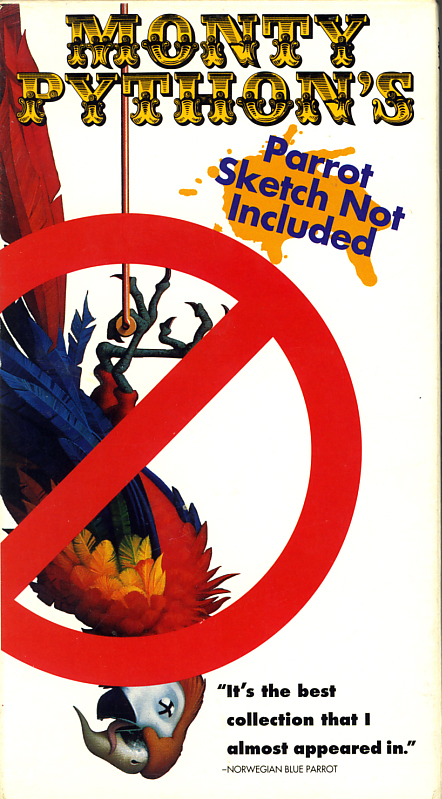 Monty Python’s Parrot Sketch Not Included on VHS. Starring Steve Martin, Graham Chapman, John Cleese, Terry Gilliam, Eric Idle, Terry Jones, Michael Palin, Carol Cleveland, Connie Booth. Directed by Ian McNaughton. 1989. You look like the type we’re looking for. Warm and breathing — a perfect customer for this hilarious 20th anniversary look back at the BEST bits, pieces and gags of Monty Python foolery. 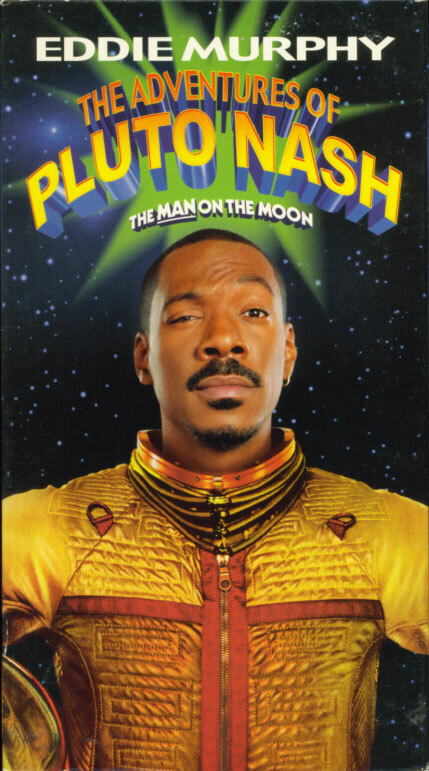 Parrot Sketch Not Included features snippets of Pythonmania never before available in the USA. And it’s packed with unforgettable moments from longtime faves like the Fish-Slapping Dance, the Ministry of Silly Walks, the Argument Clinic, World Forum and the comfy chair torment of the Spanish Inquisition. In nature, a snake cannot have legs. In show biz, an act that’s enduringly popular has legs. Monty Python’s got ’em. However, the lads do remind you that it’s impolite to stare. 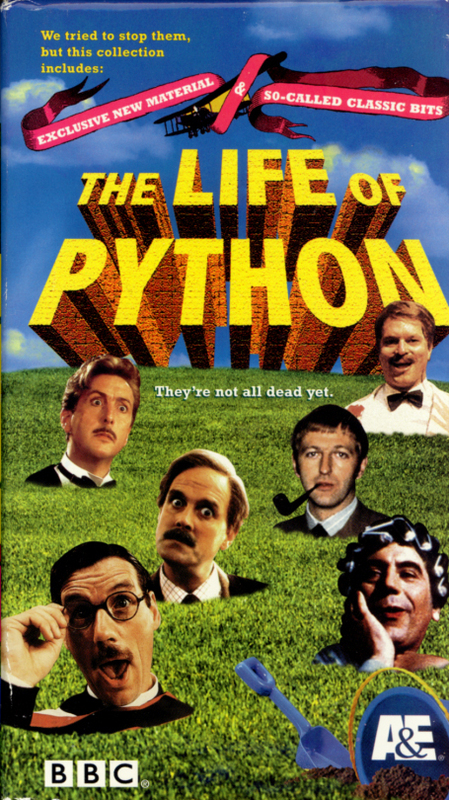 The Life of Python VHS Box Set. Conceived, written and performed by Graham Chapman, John Cleese, Terry Gilliam, Eric Idle, Terry Jones, Michael Palin. With special appearances by Eddie Izzard, Meat Loaf, Kevin Kline, Sir David Frost, Ronnie Corbett, & the creators of South Park, Trey Parker & Matt Stone. 2000. They’re not all dead yet. For more than 30 years, devout fans of Monty Python have tortured the rest of us with endless repetition of the “Dead Parrot Sketch,” “The Spanish Inquisition,” “Spam,” “The Lumberjack Song,” “Nudge Nudge” and more. In a desperate attempt to shut them up, A&E presents this, the ultimate Python fanatic’s collection, chock full of interviews, new material, tours, new material, de rigeur “lost” episodes and bits, new material, shots of the old geezers sitting on their laurels, and, of course, new material. This outrageous BBC production celebrates 30 years of Python with new Monty Python sketches, a plethora of guest appearances and the funniest funeral you’ll ever attend. Pythonland — Journey with Michael Palin in search of the locations where the best known Python sketches were shot. The Lost Python Mayday Special — A fun and fusty relic from the 1971 Pan-European May Day Festival, freshly dug from the BBC rubbish bin. From Spain to Sperm: Monty Python’s Greatest Hits — Join host Meat Loaf for a countdown of the songs we were grounded for singing as kids. An animated South Park tribute. One of the famous “lost” German episodes never before available in the U.S. Yes, Monty Python is funny in German! Unfortunately, this programme is in English.